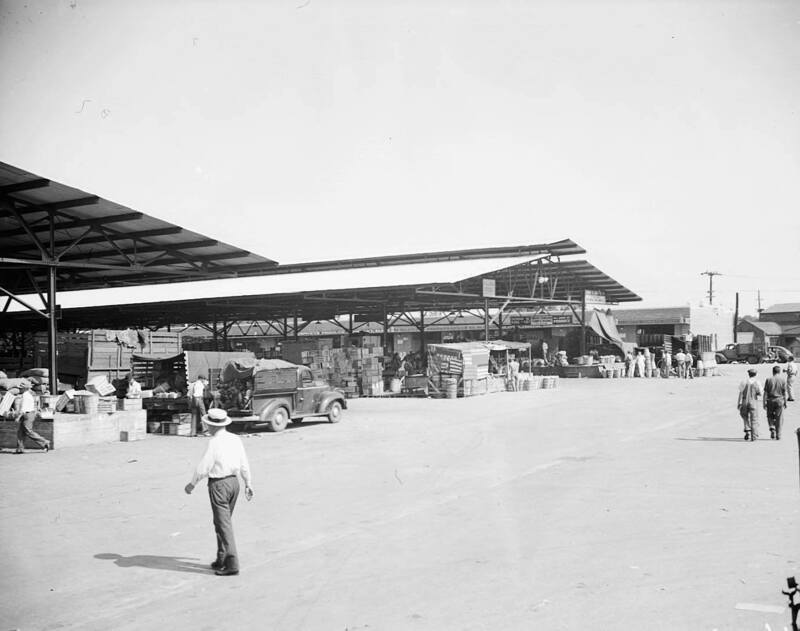 With construction beginning in 1940 and the first tenants arriving the following spring, the former Atlanta State Farmers Market has been a wonderful resource for the city and state in a variety of iterations for 75 years. Located in West End, the market served as the crown jewel of the Georgia's State Farmers Market System. The location of the market would be on Murphy Street, in what was then an established railroad and industrial center. The introduction of the market would help to foster the growth of the surrounding communities, Atlanta, and Georgia as a whole by acting as a medium for people to have access to fresh food stuffs. The State Market also proved to be an important community space also, where pleasantries where exchanged over produce. The decision in 1957 by the State of Georgia to sell the Murphy Avenue location to move the State market to its Current location in Forest Park saddened many Atlanta residents. Since the relocation of the market, the site and individual structures have undergone numerous changes, but the legacy of the space remains. Today, the Old Atlanta State Farmers Market lies in one of the fastest developing area of the City and on the Beltline. Due to this, many have seen the site as prime for redevelopment. Currently, the site is not on the National Register of Historic Places and a larger district containing the old market is up for review. The Atlanta Preservation Center is advocating for the adaptive reuse of this site as it is one of the most historically important agricultural resources left in Atlanta.